Juhudi Kilimo (JK) is a microfinance business that serves Kenya’s rural smallholder farmers, providing financing to help them acquire wealth-generating assets, such as high-yielding dairy cows, poultry, irrigation equipment and farm machinery. JK began in 2004 as a simple agribusiness initiative within the K-Rep Development Agency. By 2009, it had grown into an independent for-profit social enterprise with the mission of providing loans, insurance and training to rural smallholder farmers. Juhudi Kilimo advocates for financial inclusion, which promotes access and the use of high-quality financial services, particularly amongst poor people. It is acknowledged that women disproportionately face financial access barriers that prevent them from actively participating in the economy and from improving their lives. Juhudi Kilimo is working towards promoting financial inclusion for women to help achieve gender equity and poverty reduction. This guided by the JK pledge to maintain the percentage of women among its active borrowers at at-least 40 per cent. Since Jan 2016, GALVmed has supported Juhudi Kilimo through the provision of technical advice in their farmer advisory programs, increasing visibility and awareness of access to loans to help small holders acquire farm assets and in production of training materials on the value of livestock health. The objective of these activities was to improve access to finance and livestock health information particularly to women small holder farmers contributing to greater social impact and gender equity . For more information on Juhudi Kilimo’s work, please visit Juhudi Kilimo’s wesbite. Video filmed and edited by James Karuga for Wren Media. Alliance for Veterinary Medicines (GALVmed), and the Inter-governmental Authority of Development Centre for Pastoral Areas and Livestock Development. by national and local governments. medicines. They are also cheaper, so they really help us,” says Karbolo. Public and private sector involvement According to Dr Ochieng Odede, Technical Director at Sidai Africa – a social enterprise operating in the livestock sector – the private sector is deterred from setting up animal health provision in the ASALs due to subsidies and issuance of free animal health products from, for example, government or animal health NGOs during emergencies. “If I’m running my shop and farmers who I’m serving get everything for free, I cannot sell to anybody,” says Dr Odede. “That creates a hostile business environment for the private sector.” However, whilst working in the ASALs, Sidai Africa have observed that pastoralists are willing to pay for good quality animal health products if they see positive results, according to Dr Odede. Participants at the Nanyuki workshop proposed that the ASAL county governments need to reach out to qualified animal health professionals and create financial incentives that will encourage them to stay in the area. Since devolvement of the Kenyan Government in 2010, county governments have been able to stipulate the number of veterinary surgeons and veterinary paraprofessionals required to meet their county’s needs. The Kenya Veterinary Association (KVA) are also urging county governors to employ more veterinary surgeons in the sub-counties, and more veterinary paraprofessionals in the wards, according to Dr Samuel Kahariri, KVA Chairman. Animal health training institutes are also being encouraged to allocate a certain quota of students from the ASALs to be trained in animal health, and to increase the number of professional animal health workers in these regions. As a signatory of the World Organization for Animal Health (OIE), Kenya is bound by the institution’s guidelines, which call for veterinary services of member countries to be provided by professionals. However, there are currently 2,000 veterinary surgeons and about 8,000 veterinary paraprofessionals registered with the KVB. These numbers are insufficient to meet the needs of the country’s livestock keepers, and their reach is limited to the economically lucrative peri-urban regions where most animal health professionals are based. 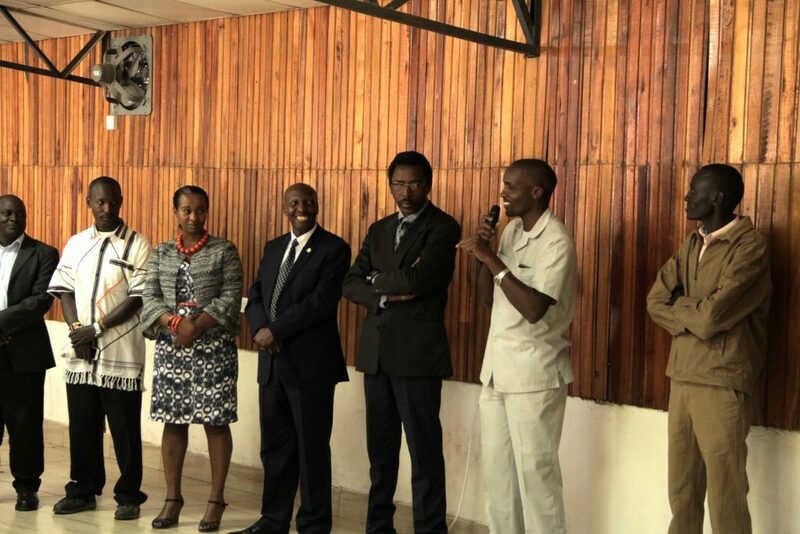 As part of efforts to enhance better quality training and to address gaps in veterinary service delivery in Kenya, the Department of Veterinary Services (DVS) began a yearlong internship program in January 2017, with a target of training 1,000 animal health graduates at various training institutes and universities. The programme, which is funded by the Kenyan Government, has since trained 582 interns. Some have been placed in ASAL regions like Turkana County, and are working under experienced veterinarians to provide animal health services to the communities that live there. “They are exposed to the market, where they deliver services and get to know the challenges,” says Dr Dulu Thomas Daido, Deputy Director of Veterinary Services at the DVS. “CBAHWs were used where there were gaps but with this programme coming in, there will be no gaps, there will be quality health services provided,” Daido continues. Experience in the field gives the graduates credibility, leading to a higher chance of employment following their internship; the programme is also a prerequisite for graduates to be registered with the KVB as veterinary surgeons or veterinary paraprofessionals. In spite of the current initiatives, it was agreed that the needs of livestock farmers in the ASAL areas are still largely unmet. Due to the uneven distribution of qualified animal health providers, one recommendation from the workshop was to conduct veterinary service delivery mapping in the ASALs, and match this data against the number of livestock in these regions, so that gaps in service provision can be quantified and properly understood before implementing initiatives to fill the gaps. As those gaps are filled, workshop participants also recommended that veterinary services in the ASALs be delivered by qualified personnel, in line with Kenyan laws and OIE guidelines. enhance rather than curtail access, be affordable, and serve the needs of farmers in the ASAL areas,” said Dr Muraguri. Words and pictures by James Karuga. On 9 October 2017, the Global Alliance for Livestock and Veterinary Medicines (GALVmed) convened a half day meeting in Nairobi with 22 private sector representatives, including livestock product manufacturers, distributors and importers, to discuss how Kenya’s first animal health industry association should be structured and run. represent their interests before government regulatory authorities, and the self-regulation of members to ensure adherence to good industrial practices. According to Dr Kenneth Mbogori, Director of Metrovet Kenya Limited, a veterinary pharmaceutical manufacturing company, the absence of an animal health association (AHA) also makes it hard to prevent the circulation of counterfeit livestock products, and weed out rogue practitioners in the industry. The recent half day meeting was a follow up to earlier events facilitated by GALVmed in 2014 and 2016, which brought animal health actors in Kenya together to discuss constraints in getting products and services to livestock keepers. In both the previous meetings, the formation of an AHA was proposed to represent its members, and raise the issue of inefficient animal health service delivery with regulatory authorities. licenses; because of this, SAAHA membership has doubled in the last six months. “Nonmembers are seeing an association that adds commercial value to them, and they are joining it,” says Westerveld. He explained how Kenyan companies could receive such benefits if a similar association was formed in the country. Led by an appointed independent general manager who is unaffiliated with of its members, SAAHA has gained credibility among regulatory authorities. The association has also aided the South African Government to form an independent veterinary regulatory body made up of experienced animal health researchers to evaluate dossiers for new products from its members. As a result, the time taken for the registration of new animal health products with regulatory authorities has reduced from about five to six years to about six weeks. An AHA can also build an online forum to help members understand the market size and their company’s rank within the market, based on the sales data they provide. Members can then work to improve their sales if they have a low ranking, or work to maintain a top position if they are ahead. For Dr Patrick Mugo of Eagle Vet Kenya Limited, the potential of having access to market ranking data via an online forum is an exciting prospect. “Using the market information to know the market size and your position, you can act accordingly,” says Mugo. He also feels that an AHA would cater specifically to the needs of the veterinary industry, unlike the other associations currently in place in Kenya. The Kenyan animal health industry players resolved to form their own association largely modeled on SAAHA, starting by appointing a 10-member committee. The committee members were drawn from the animal health companies represented at the meeting. It was also agreed by those in attendance that the committee formed would discuss the aims of the AHA, types of memberships to be offered and their costs, and the pros and cons of its formation. The committee would then present its deliberations in a month’s time (November 2017) to all prospective members. 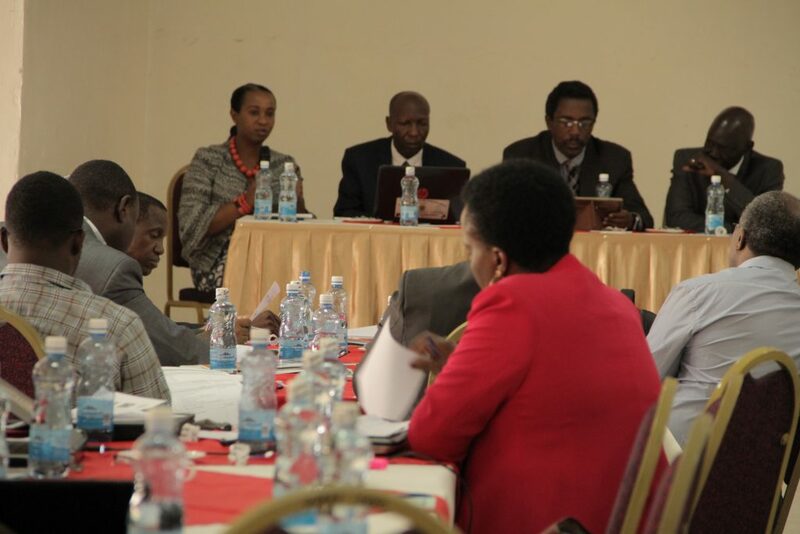 Formation of the association comes at a time when the veterinary medicines directorate (VMD) has been authorised to take up the mandate of regulating veterinary medicines in Kenya, which was initially with the Pharmacy and Poisons Board of Kenya. According to Dr Mbogori, the AHA would be able to conduct advocacy activities on members’ including representing their interests before regulatory authorities such as the VMD. This would address challenges such as the lengthy process for registration of animal health products. According to GALVmed’s Director of Policy and External Affairs, Dr Lois Muraguri, formation of the association will be driven by animal health stakeholders in the country, and GALVmed’s role will be to facilitate their meetings, and bring them together. “Our aim is to have a professional industry where farmers can get quality services delivered to them, because they deserve it,” says Dr Muraguri. Goat keepers in the western regions of the north Indian state of Uttar Pradesh have reared ruminants for hundreds of years, with virtually all households owning up to five goats on average. However, many such goat keepers have no understanding of such illnesses affecting goats as Peste de Petits Ruminants (PPR) or goat plague that afflict their herds, accepting the consequent losses as God’s act. There are two barriers to addressing these losses. First – a lack of awareness of the disease and vaccine, and second – difficulties in gaining access to animal health products and services in remote areas. Both need to be overcome in order to deliver a robust grassroots disease prevention and treatment service that benefits backyard goat keepers and smallholder farmers. Local NGO, Sharif Gramodyog Vikas Kendra (Sharif Rural Development Centre), with support from non-profit company, Global Alliance for Livestock Veterinary Medicines (GALVmed), has recently completed a project that addressed some of the challenges faced in delivering such a service and produced solutions that will potentially bridge the gap. “Any intervention cannot be aimed at short term goals,” said Dr Rahul Srivastava, Market Development Manager, GALVmed (in South Asia). “The first thing we had to do was to apprise them of the treatment for goat plague. Before the training, the villagers simply accepted it as a normal phenomenon,” stated Sharif Hussain, President, SGVK. Several grassroots level veterinary professionals have availed the training and the results are evident on the ground now. By June 2016, the network had sold over 71,300 doses of the PPR or Goat Plague vaccines and 66,540 doses of the dewormers. Parvez Alam, 43, from rural Moradabad was one of the para-veterinarians who received training. A para-vet since the age of 22, he found out about the campaign via one of the numerous posters that were displayed to publicise it and was motivated, joined the programme. Soon he was joined by his protégé and fellow para-vet 31-year-old Mohammad Owais. The star vaccinators of the campaign, the duo were responsible for vaccinating herds from over 15 villages. Both Alam and Owais are old hands at the trade and well known in the nearby villages. The villagers were soon convinced and the results were obvious. “Earlier, every rainy season would see the goats suffering from diarrhoea and soon enough one by one the entire flock would die,” continued Alam. As part of the awareness building campaign surrounding the available vaccine, over 23,000 posters and over 1,000 banners were displayed in 231 villages. 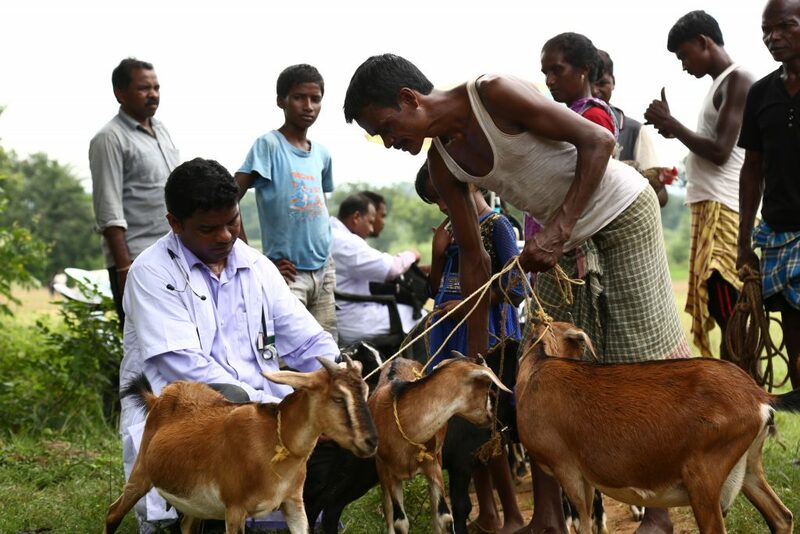 To create a demand for the vaccine service, smallholder goat keepers received training on good goat rearing practices in the local chaupals (village halls), and in addition, 131 were exposed to first-hand experience and training in goat health, nutrition and management for commercial goat farming at the Indian Veterinary Research Institute (IVRI) in Izatnagar. 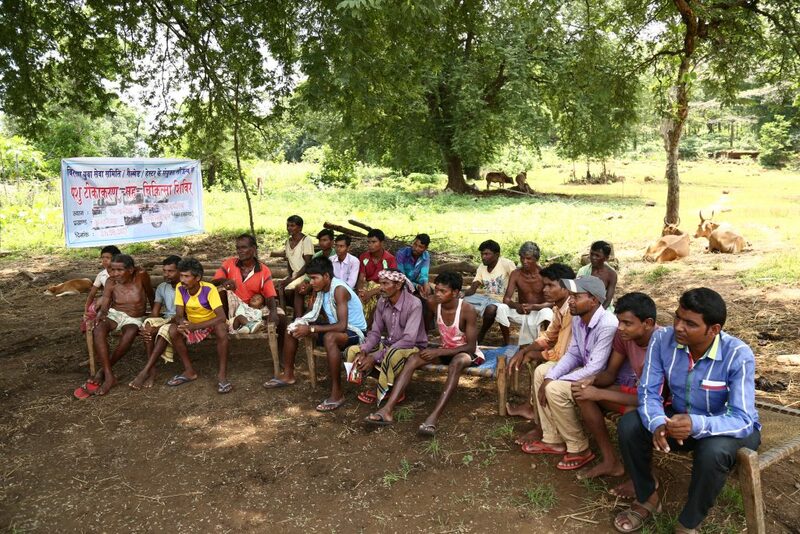 Another 264 smallholder farmers were trained in 10 villages across the project area. Veterinary professionals from district veterinary hospitals were involved in every stage of the training process. Goat farming recommendations, which farmers reported were new to them, and interaction with veterinary professionals were also part of the training. 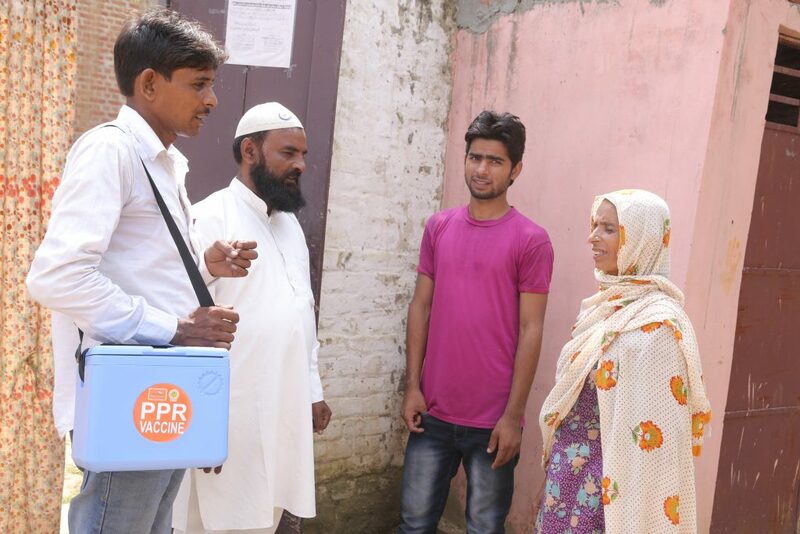 By June 2017, the project had reached a total of nearly 19,000 households in the project area with over 68,000 PPR vaccinations administered plus over 65,000 animals dewormed. Veterinary professionals from district veterinary hospitals were involved in every stage of the process, enabling robust support to the service delivery value chain. The exposure to these aspects of goat farming and active interaction with veterinary professionals were also given to common farmers as a part of awareness creation. For them, this aspect of goat farming was a new component. Smallholder goat keepers in the project area have spoken positively about the outcome of the project. For 50-year-old Anisa Begum, livestock is an important source of income for her family. Every year Anisa would feel helpless as her animals succumbed to the disease and died. Though some villagers were hesitant, Anisa readily vaccinated her goats. “When they told me about the vaccine I was ready to get my animals vaccinated. The vets came here to help us, and we benefitted from their service,” Anisa said. The satisfaction among smallholder farmers with the results of the vaccination programme has increased demand. “Well informed goat keepers will take good decisions in goat husbandry and create demand for quality products and services at the final mile,” said Dr Srivastava. While demand among smallholder farmers has increased, raising awareness of the business potential of animal health medicines and vaccines was important to ensure the whole supply chain was on board with the initiative. Wholesale medicine traders and shop owners were made aware of the business opportunities while at the other end of the supply chain, goat meat traders were educated about the benefits of clean and nutritious meat from healthy livestock. The traders soon agreed to buy goats directly from the farmers who were vaccinating thus ensuring that the farmers would get a fair price for their efforts. Future initiatives will target farmers who are enthusiastic about the small business potential of preventative goat health care and develop the market in vaccines to create a sustainable value chain. Housed in a colourful mobile van, an agro-veterinary clinic is now a regular feature in distant tribal parts of Jharkhand state in India. In many parts of Jharkhand, such as the East Singbhum district, it reaches remote hamlets devoid of concrete roads or mobile phone networks. The mobile veterinary clinic is run by Birsa Yuva Seva Samiti, an NGO named after iconic Indian tribal freedom fighter, Shri Birsa Munda. The mission – the betterment of livestock farming. For the full story see our blog post Indian state sets example for innovative use of mobile veterinary services. Produced by Prasenjit De of Alternatives. 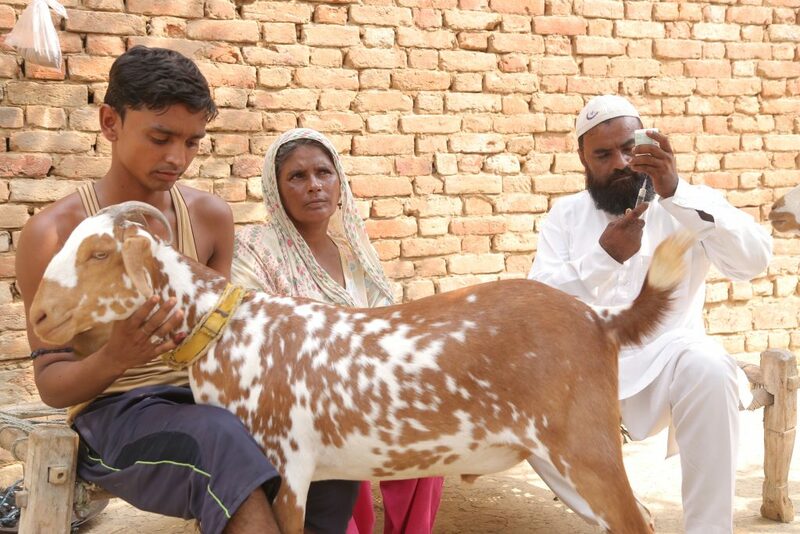 See also the video post The mobile vet: Bringing healthier livestock to India’s rural farmers. In remote areas of India, access to veterinary services is often difficult. Tribal livestock farmers have to travel far from their villages when there is a dire need of treatment for their animals. This has adversely affected livestock farming in tribal regions which are often located in remote locations. Until recently, lack of infrastructure in these areas has impeded the delivery of basic veterinary services. The infrastructure is not well-organised and fragmented, making it difficult for targeted service delivery. Moreover, security in these areas has been a matter of concern. Considering these detailed and widespread factors, the region has not experienced many development activities. Birsa Yuva Seva Samiti (BYSS), established by Dr Bablu Sundi with the help of his friend Dr S S Kulu, made an effort to provide veterinary services in remote rural areas through a mobile van.The van was converted into a mobile veterinary ambulance. With the help of the van, BYSS reached several remote areas and provided veterinary care. The non-profit company, Global Alliance for Livestock Veterinary Medicines (GALVmed) had been looking for an opportunity to enable service delivery in this difficult context. 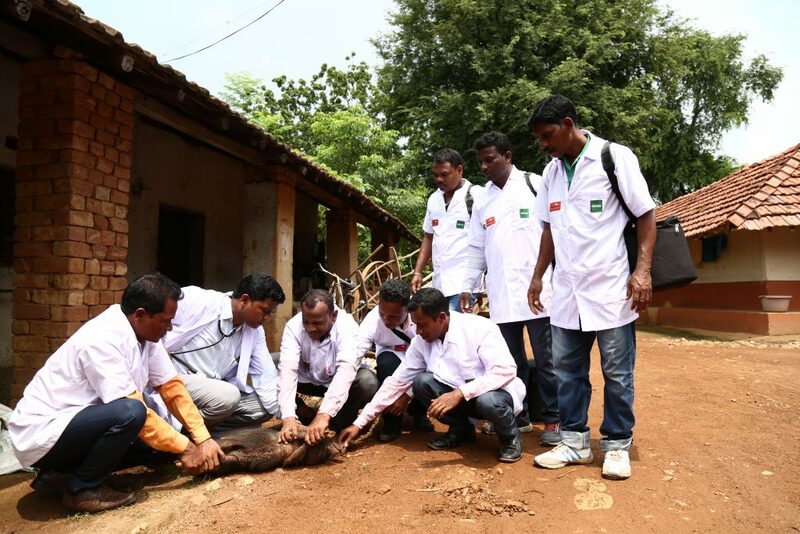 As there were very few permanent veterinary establishments, veterinarians or a supportive infrastructure, it was envisaged that mobile veterinary services could support a viable supply chain and ensure delivery of good quality veterinary treatment in these remote areas, providing relief to tribal livestock farmers. A mobile service could also act as a multi-purpose utility-raising awareness of livestock diseases and treatment, and providing access to a market for livestock vaccines and medicines while becoming the primary method of delivering veterinary services. It was also anticipated that a team of veterinarians and veterinary para-professionals would efficiently deliver animal health care services to larger areas through this project. Dr Bablu Sundi, being a veterinarian with a tribal background, hunderstood the grassroots needs. He therefore did not restrict himself to veterinary work exclusively, but also expanded into animal health care service delivery and agriculture advisory services. This combination was highly innovative. 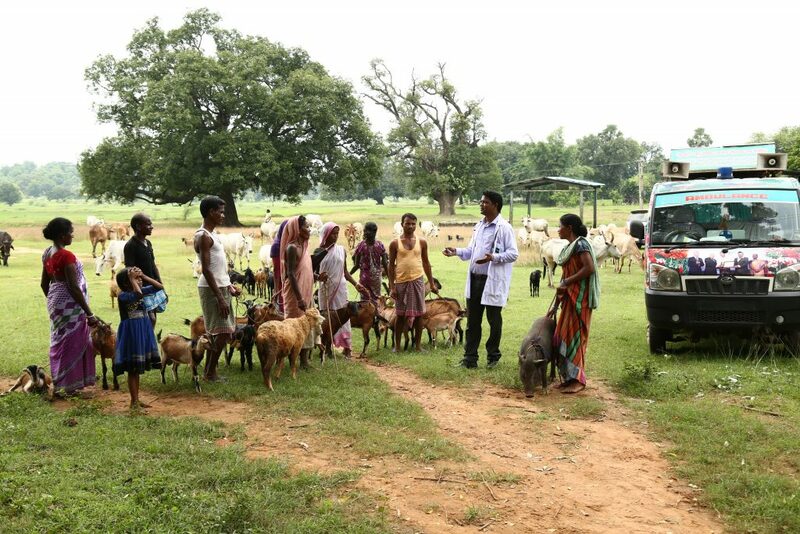 The model for the VETmark mobile veterinary service is based on the one established by the NGO Birsa Yuva Seva Samiti (BYSS) who converted a truck for use as a mobile veterinary ambulance. This prototype is delivering veterinary and agro-based services in the districts of East Singhbhum, West Singhbhum and Saraikela Kharsawan in Jharkhand state. The mobile service could also be used for helping backyard farmers in selling their products to urban markets. With the thought of combining these services GALVmed and Hester Biosciences joined hands with BYSS. This bringing together of veterinary and marketing initiatives were termed VETmark. As part of VETmark, the BYSS initiative has been expanded. 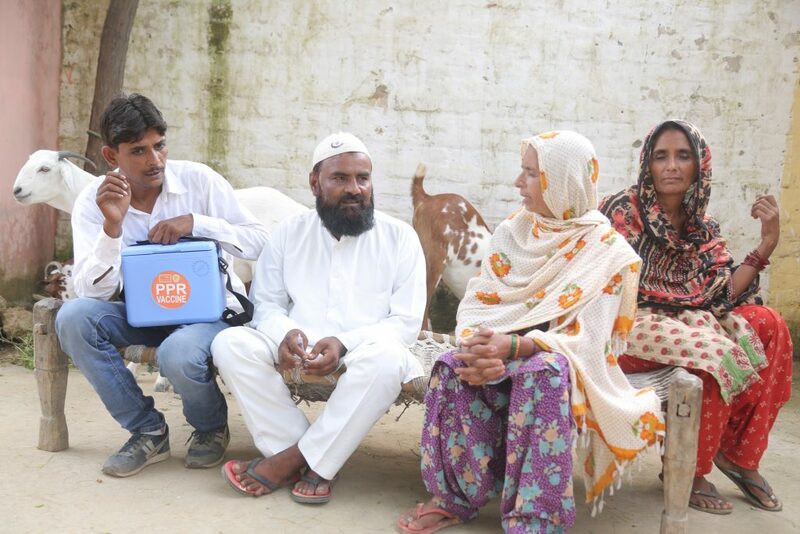 It is now delivering veterinary services in these districts as well as providing tools for awareness generation, such as pocket projectors for video shows with the support of GALVmed. And with the help of Hester Biosciences Ltd, the timely delivery of medicines and vaccines has been ensured. Specifically BYSS now offers animal health care services to all smallholder farmers raising poultry, goats, sheep, pigs, cattle and buffalos. The services comprise treatment, vaccination and advice on nutrition and husbandry practices for all animal types. The team has not only extended veterinary services with a mobile agrovet clinic, but now also represents farmers at local markets – ensuring that their in-demand indigenous poultry receive the best price possible in the market relative to commercial broilers and other poultry. Historically this service would be provided by traders or other intermediaries; however, the fair market value for indigenous birds may not have been delivered to the villagers. BYSS, led by Dr Sundi, established a clinic in Dumaria Block of East Singbhum in 2013. The same year, they started an ambulance service for sick animals. After receiving support from GALVmed, Dr Sundi started providing additional services through VETmark. These additional services included sharing information about governmental and non-governmental projects related to animal husbandry and animal produce as well as raising awareness of seasonal diseases in birds and other livestock, and their treatment. He also gave livestock health, nutrition and management training to the master trainers using a projector. also dewormed during this time. Dr Sundi and his team also vaccinated poultry and other livestock against fowl pox, black quarter, haemorrhagic septicaemia, foot and mouth disease, and enterotoxaemia. which are often far from their homes. 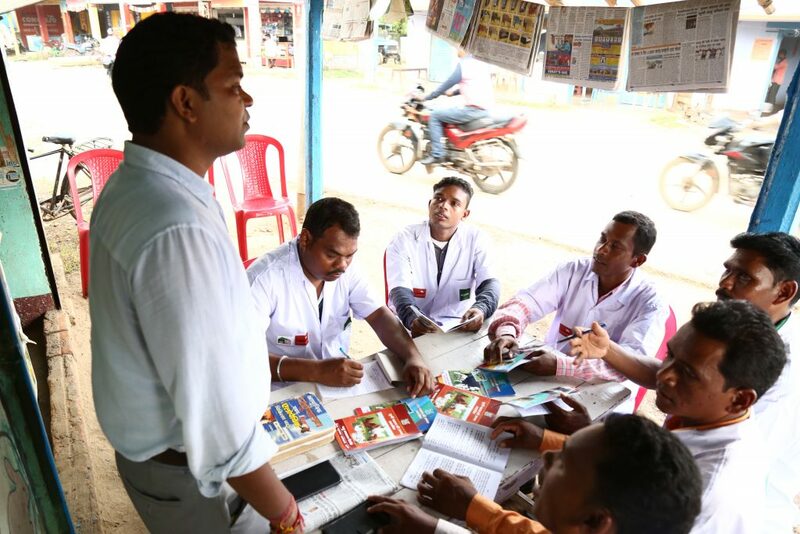 Through the support he has been getting from GALVmed and Hester combined with demand from villagers, Dr Sundi aspires to take the VETmark initiative to every village of Jharkhand. He exemplifies the success that can be achieved when veterinarians actively participate in service delivery at the grassroots and broaden the scope of services. GALVmed jointly organised a workshop in Arusha, Tanzania, with Sokoine University of Agriculture recently to raise awareness of Contagious Caprine Pleuro-Pneumonia (CCPP) among animal health service delivery stakeholders. The workshop was based on a baseline study that GALVmed had commissioned in 2013/14 and conducted by the Sokoine University of Agriculture (SUA), to obtain information on CCPP in the Manyara region of Tanzania. The objective of the study was to stimulate decision making and a policy change in the Ministry of Agriculture, Livestock and Fisheries to include the use of a quality and reliable CCPP vaccine for the effective control of CCPP, helping to increase goat productivity and improve farmers’ livelihoods. CCPP is a serious respiratory disease that threatens a significant number of goat populations around the world – Eastern Europe, the Middle East, Asia and Africa, including Tanzania. Clinical disease has been reported in 38 countries with the highest incidence found in African and Asian nations. Additionally, CCPP’s high rates of morbidity (90–100 per cent) and mortality (60–80 per cent) have had wide-ranging negative effects on livestock productivity and trade restrictions in many countries in Africa. The workshop was held in order to communicate findings and to sensitise policy makers and other stakeholders from the public and private sector to the extent and effects of CCPP, and on the need to promote a practical and efficient system for facilitating availability, accessibility and affordability of quality CCPP vaccine to farmers to effectively control CCPP. It was attended by 40 participants including Tanzania’s Director of Veterinary Services, Dr Abdu Hayghaimo, other central government and local government officials and representatives of private companies, farmers and academia. The workshop examined the evidence on the status, extent and impact of CCPP in Tanzania and identified gaps that need to be filled. Participants came up with practical recommendations on controlling CCPP in Tanzania. It was noted that CCPP prevalence in the six districts covered by the study would be reflective of the situation in many other districts across Tanzania. Most of those affected were smallholder farmers whose animals are decimated and their livelihoods devastated by CCPP, yet they contribute greatly to the economy of the country. It was further noted that government policy was not against vaccination but that it had not been implemented due to a number of factors including lack of awareness and limited human resources – more than half of the 169 districts have no District Veterinary Officers (DVOs) who are essential to the implementation of government policy and disease control measures. It was therefore recommended that the relevant government authorities be engaged further and the public be sensitised towards implementing the policies in favour of vaccination, including in the short term authorising the importation of the vaccine from KEVEVAPI in Kenya, NVI in Ethiopia and MCI in Morocco which are the only entities in Africa producing the CCPP vaccine. The partnership between GALVmed and SUA was commended as well as GALVmed’s technical and financial support. It is expected that the momentum will be maintained given that Tanzania is one of the BMGF tier one countries and CCPP is one of the priority diseases in VITAL. One of GALVmed’s key technology partners has been included in this year’s edition of a prestigious UK government publication. Cambridge-based biopharmaceutical company Arecor is profiled in the Technology edition of the Parliamentary Review as an example of ‘an outstanding organisation and growth company’. Established by former minister Rt Hon David Curry shortly after the 2010 UK general election, the Parliamentary Review’s September release has become a key fixture in the UK political calendar, demonstrating how sector leaders have responded to challenges in the political and economic environment. The publication showcases best practice and acts as a learning tool to the public and private sector and is aimed particularly at leading policymakers and executives within the technology sector. Dr Sarah Howell, Chief Executive of Arecor, said: “We at Arecor are thrilled to have been chosen to feature in this year’s Review alongside such an august and select group of companies. GALVmed’s Chief Scientific Officer Jeremy Salt commented: “At GALVmed we would all like to add our congratulations to Arecor on this recognition that they have received. 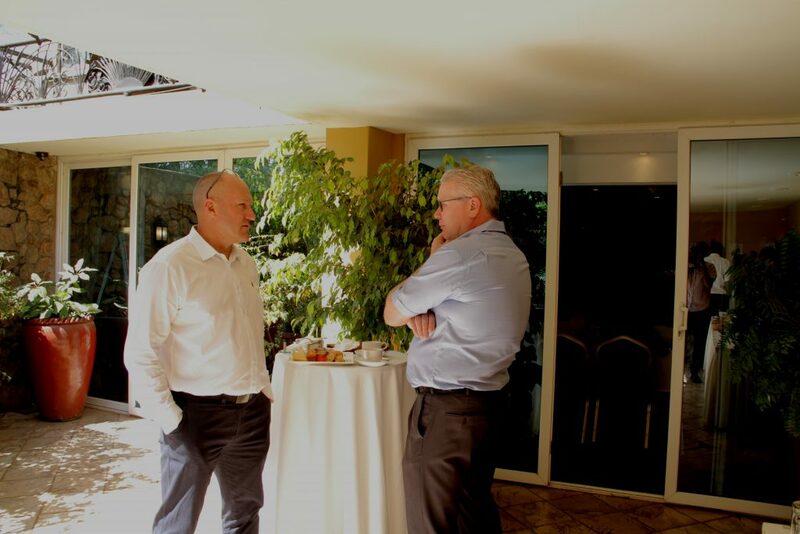 “Over the last five years Arecor has been a key strategic partner for GALVmed in our pursuit of high quality technology developments to aid the smallholder farmer in sub-Saharan Africa and S Asia. “We are grateful to Arecor staff for their dedication to our various joint projects to improve vaccines for East Coast Fever, Peste de Petits Ruminantes and Newcastle Disease. An e-copy of the Technology edition of the 2017 Parliamentary Review can be viewed at https://www.theparliamentaryreview.co.uk/editions/technology/technology.